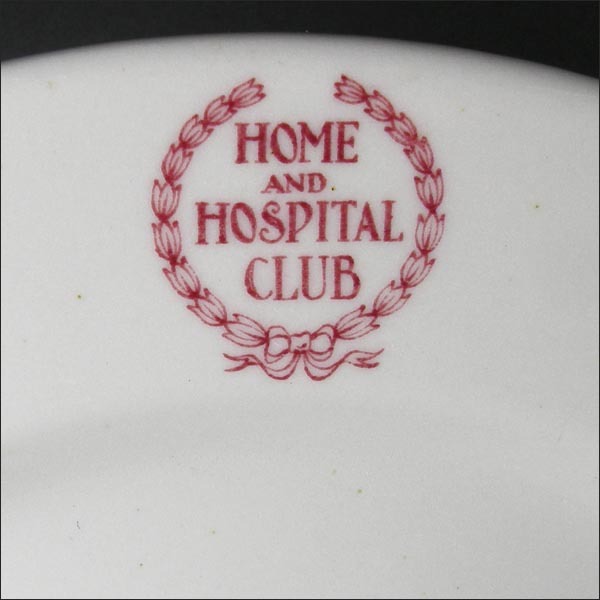 What a perfect plate to have on hand to cheer up a family member feeling under the weather – their own Home and Hospital Club plate! Whether it’s the sniffles or just a long, hard week, there are times when we all need some TLC. 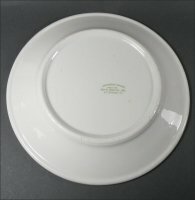 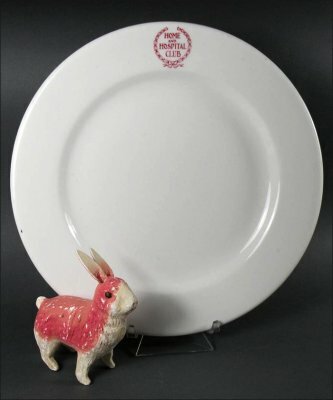 These plates were made by Jackson China, probably in the Thirties, based on the backstamp, for the Home and Hospital Club, with locations in Pittsburgh and N. Charleroi, Penn. 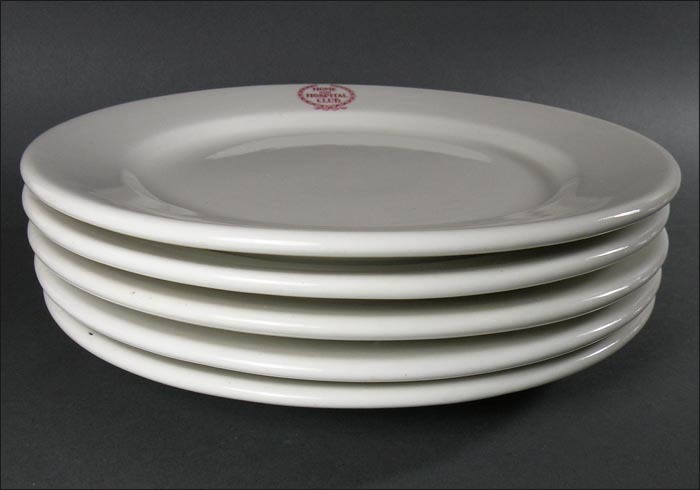 The distributor was Dan W. Zeber Co., Pittsburgh. 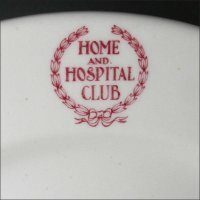 The charitable club started in 1900, delivering baskets of food and sometimes clothing to needy families. 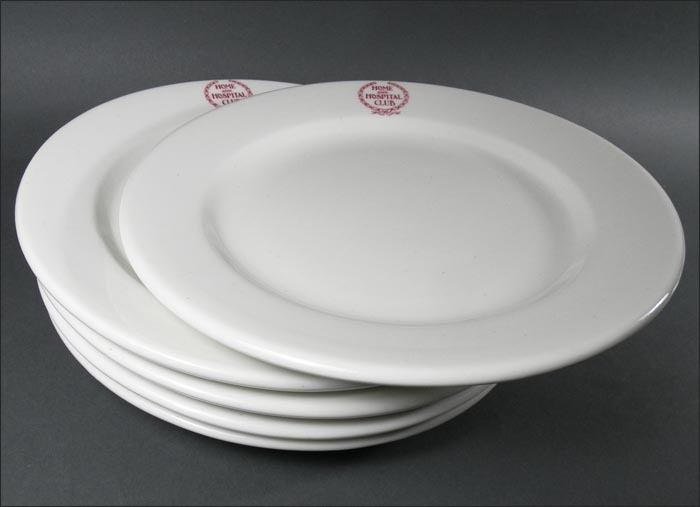 They are 9” in diameter and in very good condition with medium utensil marks. Each one has a few manufacturing marks, such as an extra dot of glaze or glaze pop.